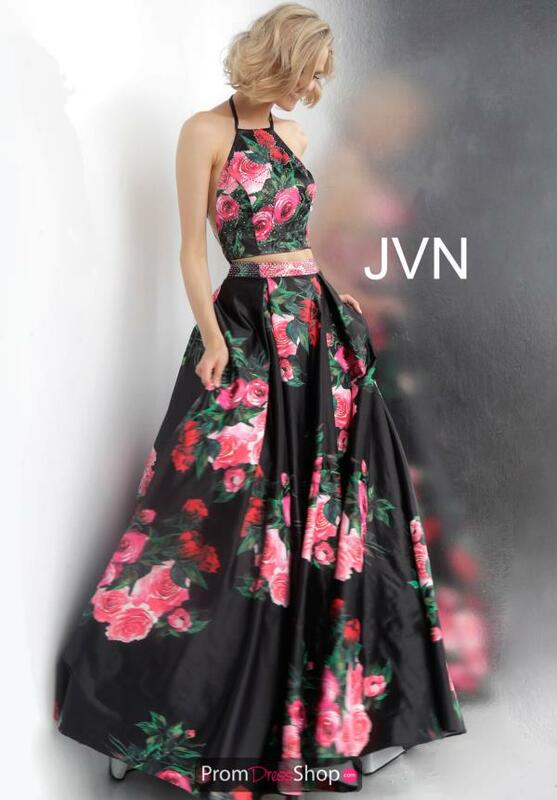 This JVN by Jovani prom dress JVN66058 is sure to have all eyes on you at your upcoming special occasion. 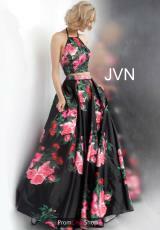 This captivating two piece style sets off with a crop top that features a classy high neckline. 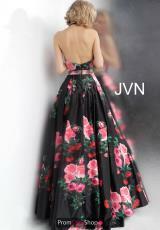 Its bold printed fabric is sure to have you turning heads as it is completed with a long a line skirt.